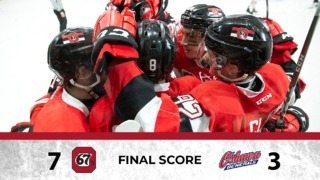 The Ottawa 67’s continued to roll on Friday night, kicking off the long weekend with a 2-1 shootout win over the Guelph Storm. Sasha Chmelevski had the shootout winner and Jacob Cascagnette scored in the third period to propel Ottawa to its sixth-straight win and 10th consecutive game with at least a point. Ottawa has lost just twice in 2018. This one had all the makings of a game that was going to come down to the bitter end and it didn’t disappoint. 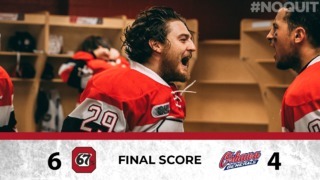 After the goalies — Olivier Tremblay for Ottawa and Anthony Popovich for Guelph — stood tall through two scoreless periods, Cascagnette finally found the back of the net three minutes into the third to give the 67’s the lead. It looked like it would stand as the winner, too, until Alexey Toropchenko scored with two minutes to go in regulation to even things up. After a scoreless overtime, Chmelevski’s lone goal in the shootout gave Ottawa the win and pushed them into a tie with North Bay for fifth spot in the OHL’s Eastern Conference, with the 67’s holding a game in hand. Tremblay finished with 27 saves on the night to earn the victory, while Popovich stopped 37 shots in a losing cause. 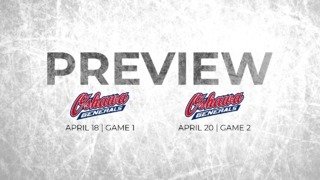 The 67’s are back in action Saturday night in Owen Sound against the Attack (7 p.m.) before returning home to host the Kitchener Rangers for Monday’s Family Day game at the Arena at TD Place (2 p.m.). The 67’s peppered Guelph with 18 shots in the third period. Both teams were 0-for-2 on the power play on Friday. Sasha Chmelevski and Tye Felhaber each had seven shots for Ottawa. Jacob Cascagnette went 5-for-6 in the face-off circle on Friday.